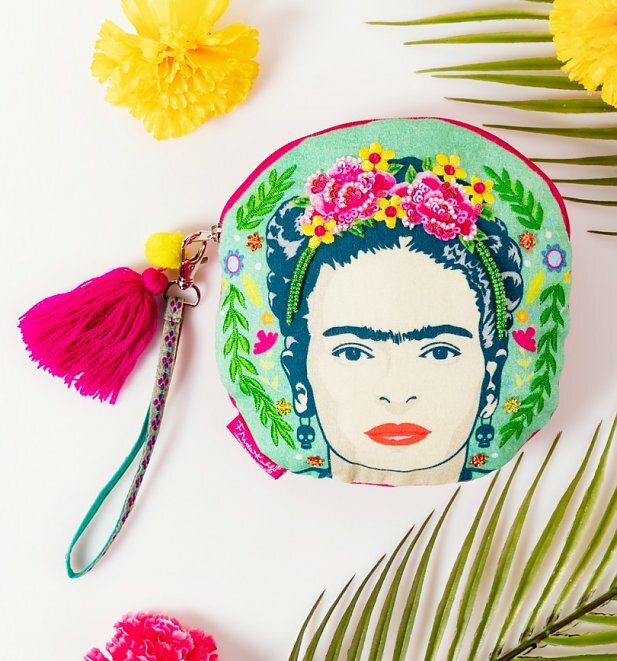 Viva la Frida! 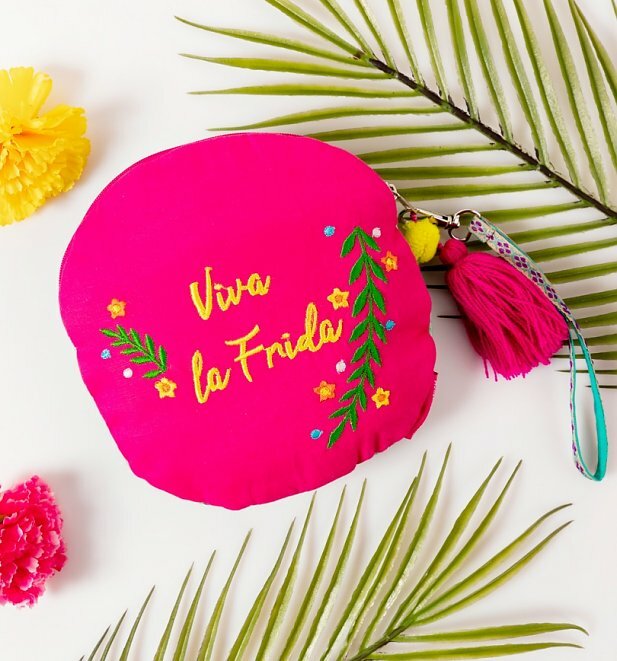 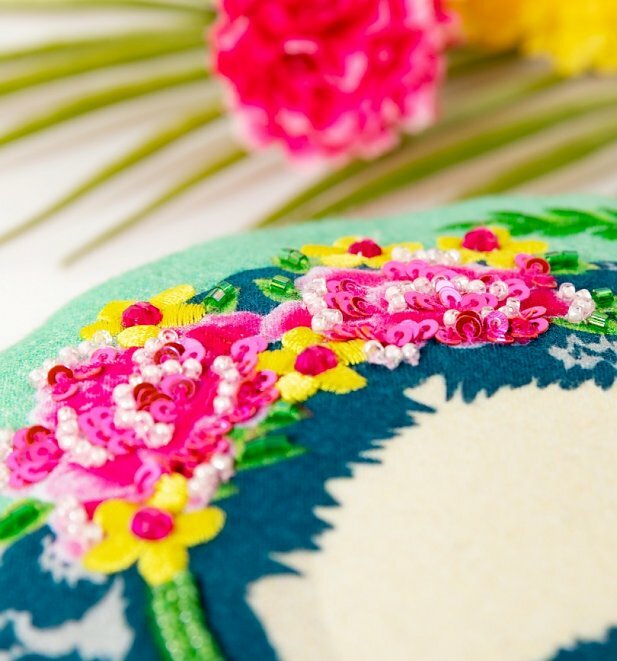 Inspired by the vibrant aesthetic of the iconic Mexican artist, Frida Kahlo, this round cosmetic case is perfect for bringing a splash of fun and colour into your life. 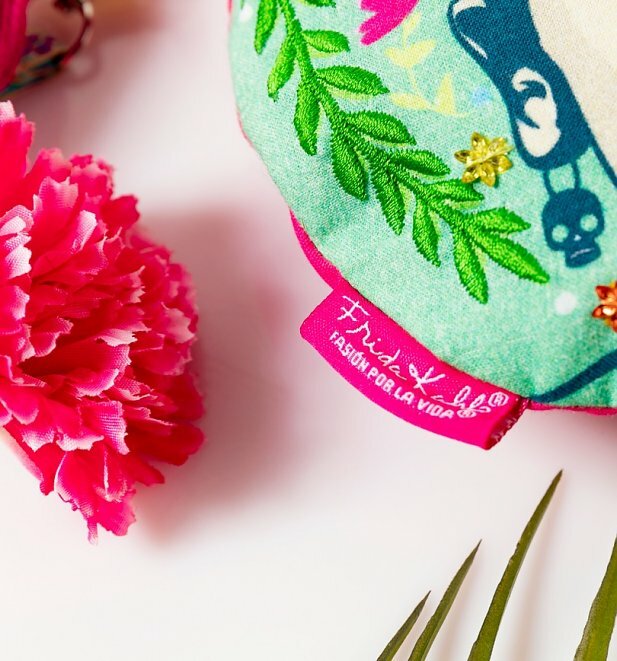 Frida Kahlo was influenced by her tropical surroundings and this bag features a print of Frida with her trademark floral crown, embellished with sequins, beads and embroidery. 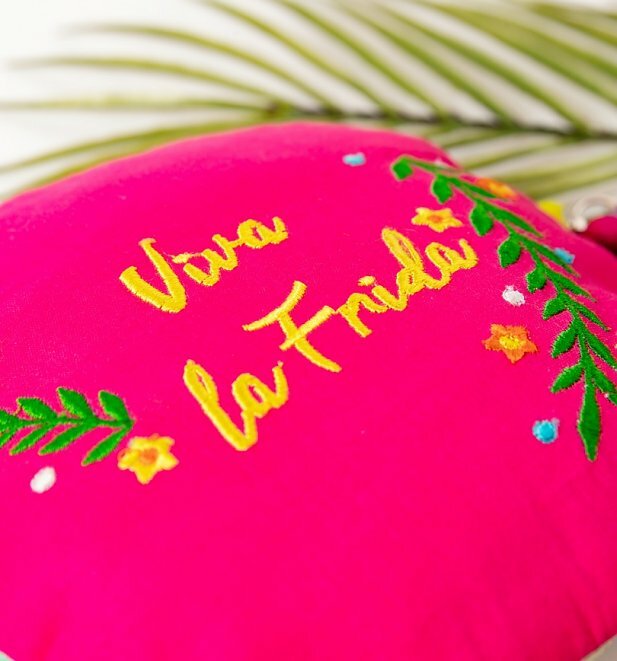 - Embroidered 'Viva la Frida' on the back.